This mod is made for SF2NA. In 1946 the UK had a lot of major problems. It suffered high losses during WW2 and war damages all over the country were significant. The industry layed down and a big amount of war depts pressed the economy further. On the other hand the Royal Navy had a lot of ships which were not neccessary anymore. So it was decided to sell some major ships, including aircraft carriers. The HMS Colossus was sold to France, the HMS Warrior went to Canada. The Netherlands wanted to buy the HMS Venerable and Australia was interessted in the HMS Venegance. 1946 the Soviet Union showed their wish to buy 3 carriers of the Colossus class and offered a price of 50tons of fine gold. So the last 3 carriers of the Colossus class, the Theseus, Triumph and Perseus were handed over to the Soviet Sea War Fleet and were named as TAKR Odessa, TAKR Kronstadt and TAKR Sewastopol. Odessa and Kronstadt were operated by the Northern Fleet, while the Sewastopol served in the Baltic fleet for 6 years. In 1952 all carriers were sent back to Navy wharfs to refit them with an angle deck. The blueprints of this innovative design was stolen by the Cambridge Five espionage group. In 1955 the Odessa became operational again. The Kronstadt followed one year later and the Sewastopol reentered the service in 1957. All 3 carriers were used till mid/end 70th. After refit with angle deck the MiG-17 became the core of the Odessa flight group. But in 1961, the Soviet Navy demanded a supersonic interceptor with Mach 2 capabilities. The OKB MiG decided to modify their newest plane, the MiG-21PF, to fit the requirements of carrier operations. The MiG-21K was born. The K got a strenghtend landing gear, an arrestor hook and carriertypical avionics. The most obviesly difference was the introduction of canards and an inflight refuel probe. So it was possible to increase the former much to short range of the plane. The K got the new engine R-13-300 which was originally intended for the next MiG-21 generation. After nearly one decade of carrier operations a new updated version was needed. It came in 1968 and got the designation MiG-21KS. The KS got the RP-22 radar which increased the detection range by 50% and made new weapons possible. So the R-60 and R-3R were introduced and the air to ground missile Kh-23. The number of weapon stations was doubled. Now were 4 wingpylons available. The new stronger R-13F2-300 engine gave the KS a better handling. As nuclear strike plane the MiG-21KST was developed. KST stands for korableniy, safir, toplivo what means carrierborn, saphire radar RP-22, additionally fuel. It got the big back tank of the MiG-21SMT and was prepared to carry nuclear bombs under the wings. It entered the service in 1973. 1975 the last version MiG-21Kbis came to the squadrons. The external shape was similar to the precessor MiG-21KS, but under the skin the Kbis was a new plane. The structure was mainly build by titanium what made the plane light and strong. The new R-25-300K engine gave more thrust and less fuel consumtion. The RP-22KM radarsystem was able to operate the new medium range air to air missiles of the R-23 and R-24 family over a distance up to 40km. All MiG-21K versions had had no internal gun, but where ably to carry the GP-9 gunpod under the central fuselage station. 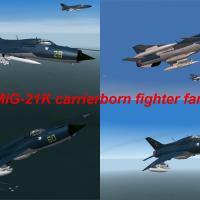 While making the MiG-21K family i used a lot of files made by other modders. Thanks for this files! The MiG-21K family planes are FREEWARE. COMMERCIAL USE IS NOT ALLOWED! The additionally parts are NOT FREEWARE. 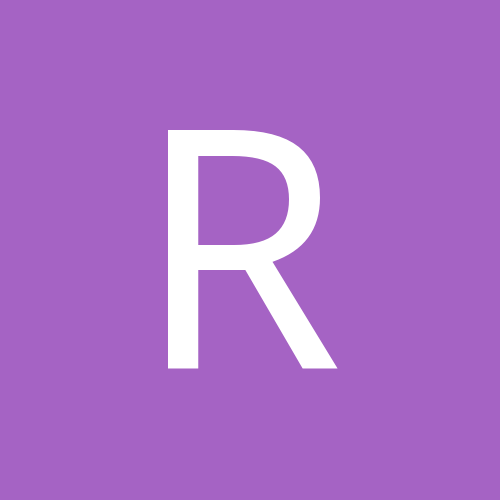 Please check the readme of that files. Because i use the MiG-21PF stock LOD file there is no visible tailhook available. The plane is prepared for the file RED5201 which is taken from Red_Pilots_Part1 pack. This pack you find in the download area for first generation SF.